Emmeline co-founded Objectifs in 2003 and continues to oversee the artistic direction and general management at the non-profit gallery and educational space. 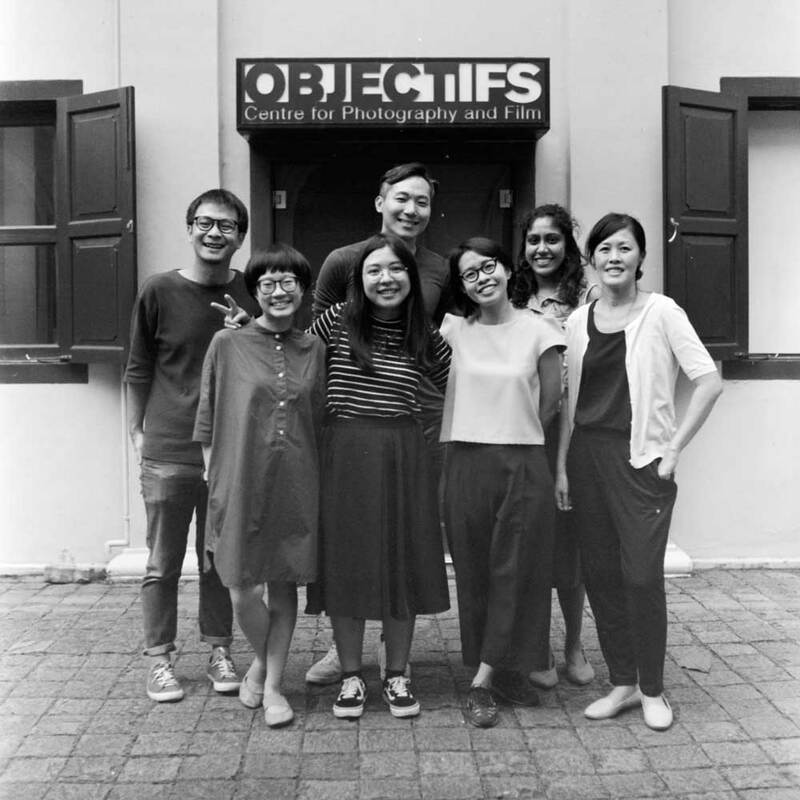 Objectifs has become regarded as one of the leading visual arts centres in Southeast Asia, advancing the practice and appreciation of film and photography both locally and internationally. She has served as a judge and nominator for several awards, including the ICON de Martell Cordon Bleu Photography Award and Magnum Foundation Fund. She has also curated several photography exhibitions including the annual Women in Photography exhibition at Objectifs (co-presented with the Asian Women Photographers’ Showcase in 2015, and with the Magnum Foundation in 2016), and group and solo shows at the Month of Photography Asia. Emmeline received her degrees from the University of Pennsylvania in Management (B.Sc Econs, The Wharton School) and Economics (B.A, College of Arts and Sciences). Yuni is a film producer and curator known for her promotion of Singapore cinema. She specializes in the management of film & media projects, and oversees the film programme at Objectifs. Her career began in the visual arts and she has since worked as Senior Programme Manager (Film) at The Substation and Commissioning Editor at Mediacorp TV12. She also co-founded Fly By Night Video Challenge with filmmaker Tan Pin Pin in 2003. In 2008-2009, she headed the Singapore International Film Festival as festival director. Yuni was a Co-Producer of Anthony Chen’s Ilo Ilo (winner of the Camera d’Or at the 66th Cannes Film Festival and winner of four Golden Horse Awards including Best Feature Film). She rejoined the film festival as Executive Director in 2014. In 2010 she was recognised as one of the 50 Most Inspiring Women in Female Magazine and in 2014 as one of Singapore Women’s Weekly “Great Women of Our Time” in 2014. Yuni was awarded the Eisenhower Fellowship 2016 and selected as the 2016 United Technologies Corporation Fellow. She holds an M.A in Arts Management from Lasalle College of the Arts. Puiyee is responsible for the film programme and projects at Objectifs. She has managed film events such as the Singapore Short Film Awards, cINE65 Short Film Competition and the Fly By Night Video Challenge. She is also the Programme Manager (Short Films) for the 2014 to 2017 Singapore International Film Festival. An occasional zine artist, Puiyee has taken part in the 2013 Tokyo Art Book Fair and Print Lab: Art and Design publication exhibition under Grey Projects. Puiyee graduated with a diploma in Arts Management from Lasalle College of the Arts. Ryan manages the educational programmes and projects at Objectifs. Ryan has led Objectifs outreach collaborations, such as Picture My World (working with participants recovering from mental illness to use photography as visual therapy) and Singapore Street Scenes with the People’s Association. He previously worked in marketing and arts administration at The Arts House and The Substation where he gained experience in venue management and working with corporate clients. Ryan holds a Masters in Guidance & Counselling from James Cook University. He is a trained counsellor who has also conducted therapy sessions with children to help them express their emotional needs using creative methods. Chelsea manages projects at Objectifs, including programming for Stories That Matter, Objectifs’ annual documentary programme, and running its artist residency programme. She also leads communications and marketing for the centre. Most recently, she was the Marketing Manager at The Substation from 2012 to 2015, where she managed its communications and marketing, and edited its quarterly publication, ISSUE. Chelsea graduated from the University of Western Australia with a B.A. (Hons) in Literature and Political Science. Aditi manages onsite educational programmes and course development at Objectifs. She has previously worked in marketing at Facebook and as an editorial assistant at independent publisher Epigram Books, where she worked on art and photography books by Singapore photographers, among other projects. Aditi has also been a research assistant for a project on children’s art education with the National Institute of Education and National Gallery Singapore, worked as a gallery sitter at NTU Centre for Contemporary Art, and written about Singapore film for SINdie. She holds a BA in English from Wesleyan University and an MSc in Information Studies from Nanyang Technological University. Ming Rui manages the educational programmes for school and corporations at Objectifs. He also oversees other youth initiatives by Objectifs, such as its annual Shooting Home Youth Awards, a mentorship programme for young photographers. He worked previously at the Singapore International Foundation under the programme division, where he managed arts and culture progammes that aim to contribute to positive social change. Ming Rui is an alumnus of Objectifs’ Shooting Home progamme and he holds a BA in Business Management from University of College Dublin. Tiffany manages retail and logistics at Objectifs. She has previously worked at the Singapore International Film Festival in 2016 as the Festival Lounge Assistant, where she managed the festival lounge and coordinated social events. She has also worked at an art gallery as an administrative assistant, overseeing their day-to-day operations and logistics, and managing their social media content. Tiffany graduated from the National University of Singapore with a B.A. (Hons) in Literature and a minor in Film Studies. Dawn Teo is currently Director of Strategic Planning and Corporate Development at Amara Holdings Limited, a Singapore-based integrated lifestyle group with businesses in hotels, real estate and specialty restaurants. Prior to joining Amara, she spent over 10 years in various private and investment banking roles at Credit Suisse AG, UBS AG and Merrill Lynch. Dawn co-founded Objectifs in 2003 and was instrumental in developing its programmes and partnerships. She left the Objectifs in 2005 but continues her advisory role on Objectifs’ Board of directors. Charmaine Toh is currently a Curator at the National Gallery of Singapore. She was formerly the Programme Director at Objectifs till 2014, where she developed exhibitions and educational programmes at the centre. She also founded The Art Incubator Residency Program in 2008, which partnered international arts organizations such as Gertrude Contemporary in Melbourne and Platform 3 in Bandung. She co-curated the 2012 i Light Marina Bay Festival and a curator for LTA’s Art in Transit program and 2013 Singapore Biennale. She was previously Cultural Relations Manager at the Australian High Commission from 2006-2009, where she worked on international projects promoting cultural exchange. Charmaine holds a Master of Visual Culture from Monash University. 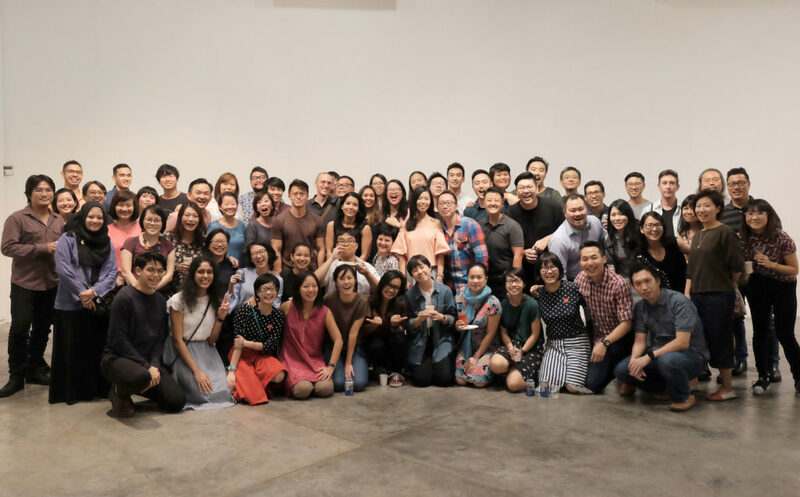 Yvonne Li is the co-founder and Director of Tate Anzur, an independent strategic communications agency in Singapore that is dedicated to telling great stories, through genuine engagement, from the ground up. For the past seven years, she has been leading her team to provide strategic counsel and creative communication solutions for her clients across the arts and heritage, public affairs, lifestyle and corporate sectors. They include National Gallery Singapore, National Heritage Board, Google Singapore, Aēsop, Singapore International Film Festival and more. Prior to her current role, she spent four years at Hill & Knowlton and have also held at in-house positions at the Ministry of Defence and Fraser and Neave.